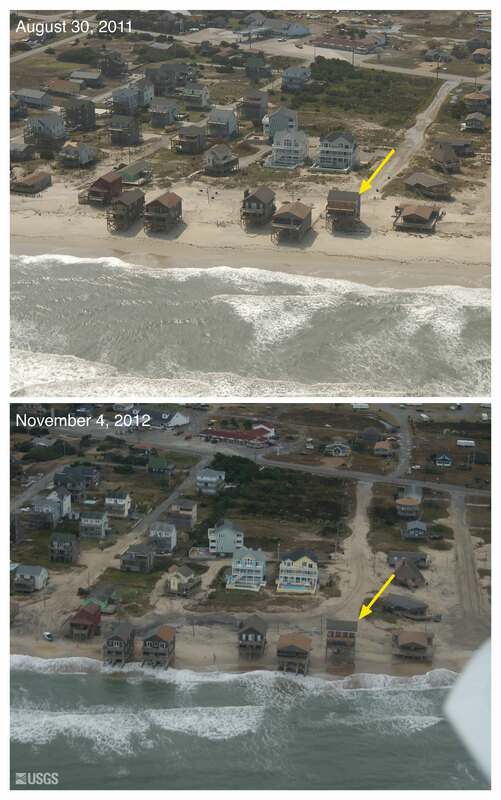 Hurricane Sandy's landfall affected the coastlines over a broad swath of mid-Atlantic and North-eastern states, including New York, New Jersey, Delaware, Maryland, Virginia, and North Carolina. 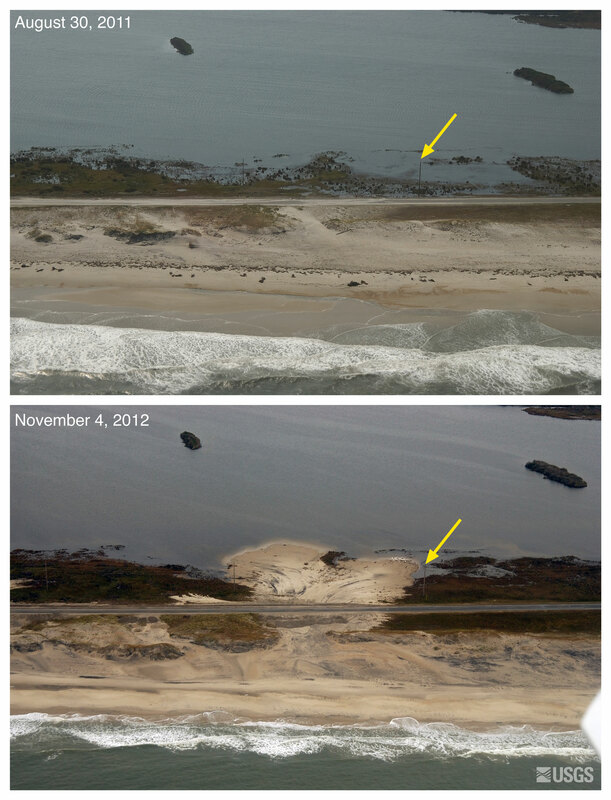 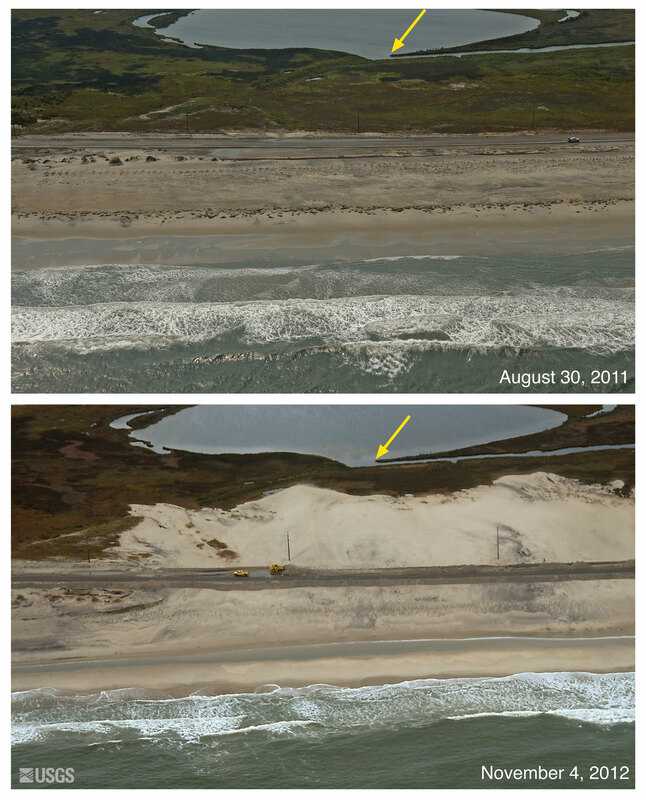 Breaching, overwash and erosion took place on many barrier islands, including some that are heavily populated and developed. 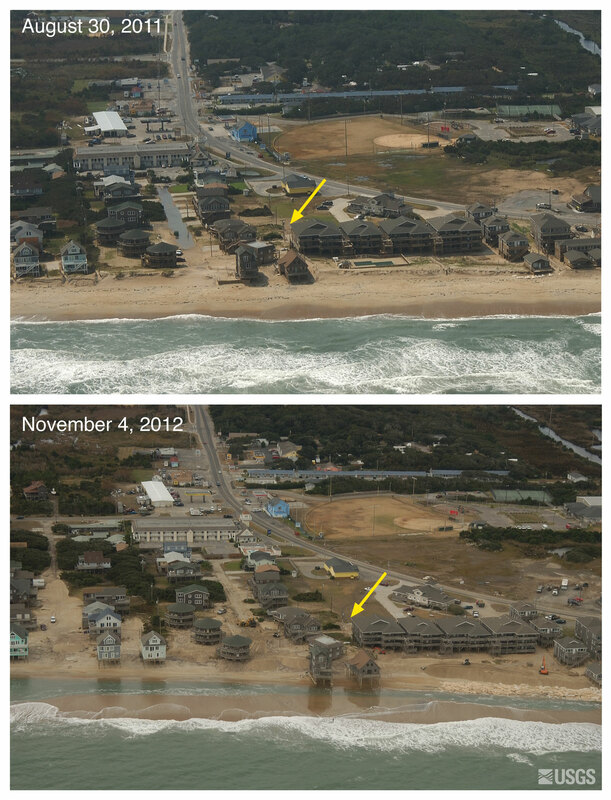 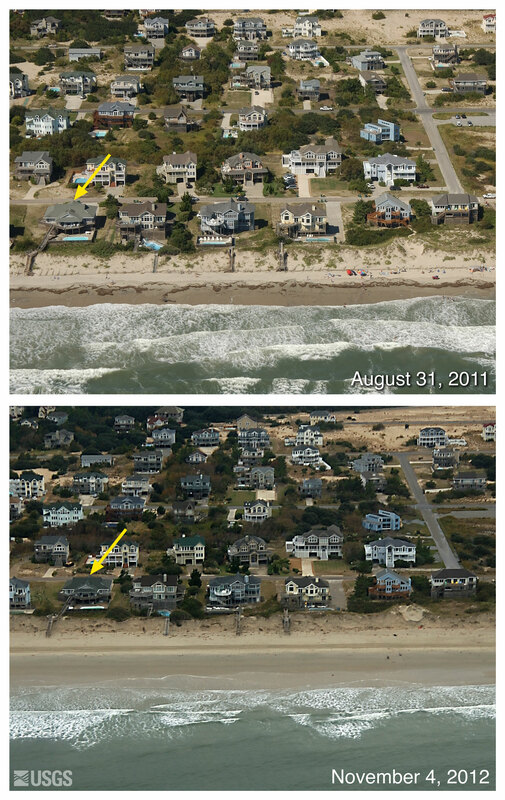 The pre- and post-storm photos below were taken over a 190 km (120 miles) stretch of the North Carolina shoreline. 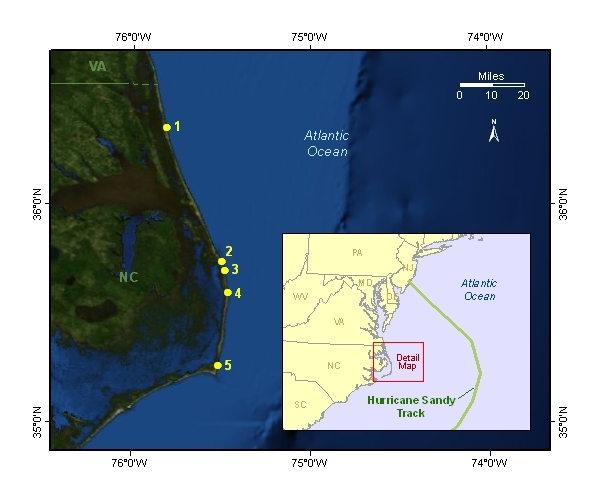 These locations represent a broad range of coastal configurations and their response to the storm. Pre-storm photos were acquired during baseline surveys on August 30-31, 2011, and post-storm photos were acquired November 4-6, 2012.